Practice in a spacious loft with treetop views. Addison Yoga Loft's beautiful hardwood floors, west facing windows with elevated views of trees, sunsets, and high ceilings create a serene studio space in Berkeley to practice. Our many trainers have their own styles of yoga including Hatha, Vinyasa, Therapeutic, Restorative, Ashtanga. With our wide range of yoga classes throughout each day, we are here to fit your availability. We are a community focused studio in the heart of Berkeley. Our classes are designed to help make some time for ourselves away from the hectic pace of life and nurture the spirit. The studio is stocked with a variety of props including mats, blankets, blocks, and bolsters. 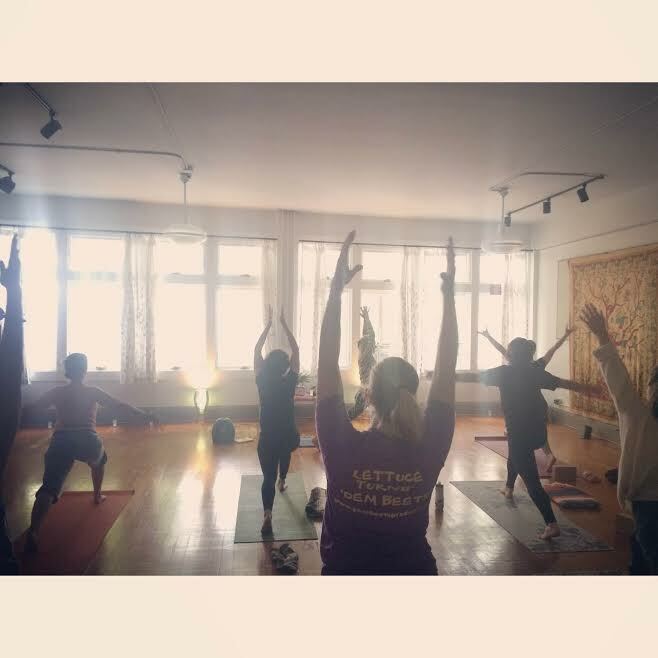 We believe yoga should be about spaciousness so our policy is to not overfill our classes. Side effects vary but may include increased stamina and muscle tone, relief from stress, better health, and personal transformation. Ample free residential (two hour and all day parking on neighboring streets) and metered street parking on San Pablo Ave. We provide bike racks in studio.